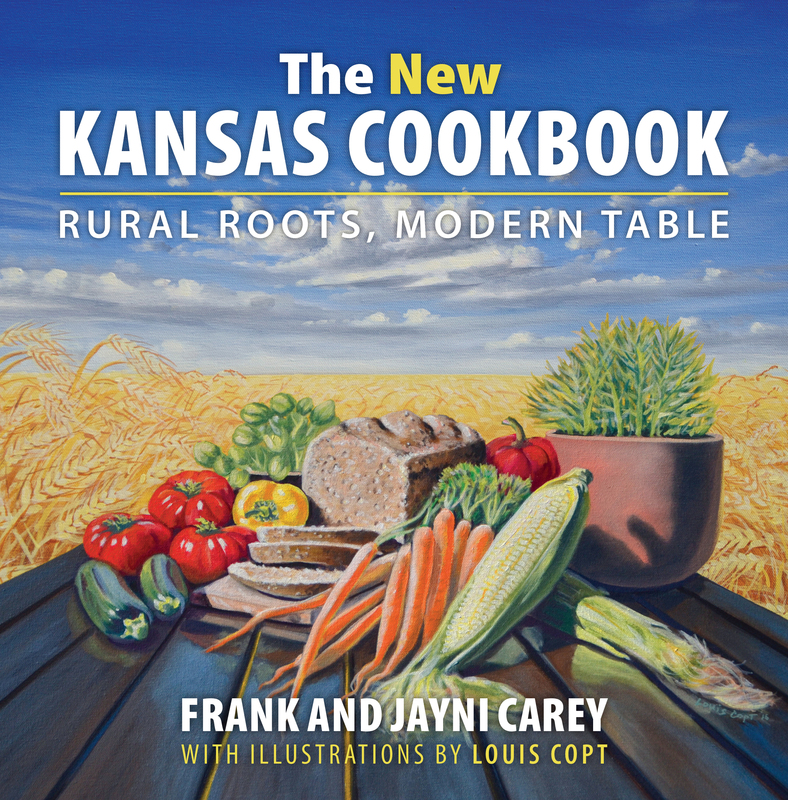 Nearly thirty years ago, cooking team Frank and Jayni Carey gave us The Kansas Cookbook: Recipes from the Heartland, a classic, much-loved volume chronicling the state’s favorite recipes and food traditions. Now they’re back with The New Kansas Cookbook: Rural Roots, Modern Table, a look at modern and innovative foodways straight from their kitchen in the heart of the Midwest. They combine fresh ingredients from farmer's markets with fresh ideas and Kansas know-how from across the state to create a dynamic new food scene. From modern makeovers of Midwestern mainstays like sloppy joes and sweet custards to dishes influenced by a wide variety of world cuisines, these recipes bring Kansas tradition into the twenty-first century with a new burst of flavor and sense of fun. The Careys travel the state stirring stories and recipes from farmers, ranchers, chefs, and home cooks into the diverse pot of Kansas cuisine. They partake in the bounty of small-town eateries, homey fare—like zucchini and corn casserole or slow-cooked pork shoulder—and dressier offerings like smoked duck empanadas, rainbow trout with a spicy crust, and roasted pork tenderloin with port and prunes. Kansans seem to live closer to the land, so the Careys introduce you to those who are enjoying the fruits of their own labors: growing the best asparagus, raising grass-fed beef, nurturing a school garden, and dealing with too much zucchini. Illustrations by noted Kansas artist Louis Copt bring these ingredients, recipes, and stories alive. Farm-to-table may be trendy elsewhere, but it’s a way of life in Kansas, and in The New Kansas Cookbook, Frank and Jayni Carey show you how to make it yours, too. Frank and Jayni Carey have been a team in the kitchen since they first met. Together, they have authored two cookbooks: The Kansas Cookbook: Recipes from the Heartland published by the University Press of Kansas and The Easier You Make It, the Better It Tastes! Jayni also authored The Best of Jayni’s Kitchen, featuring recipes from her cooking show on WOW Channel 6 in Lawrence, Kansas.